In the warmer regions of the world, a rich and colorful ant fauna lives entirely in the trees. 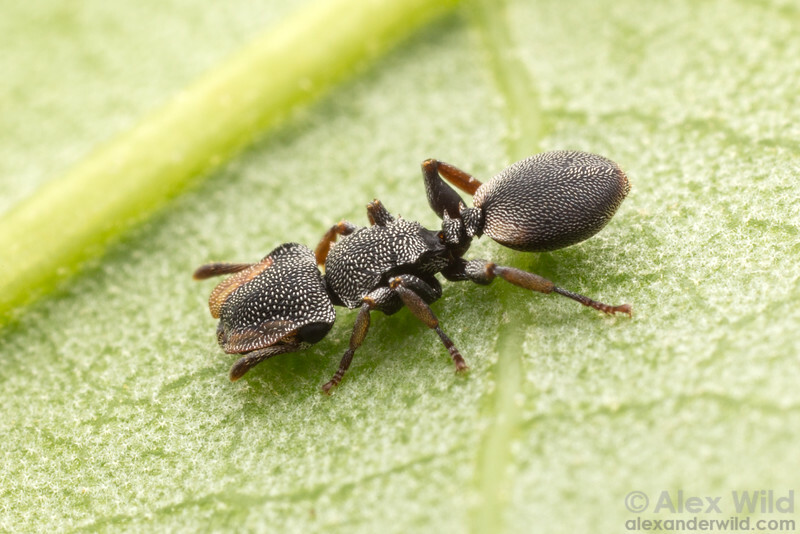 Texas turtle ants are found in the wetter regions of south Texas, where they commonly inhabit old beetle burrows in the dead branchs of live oak trees. Here, a minor worker pauses on the underside of an oak leaf. Cost, Texas, USA.